Samsung is launching back to back budget phones to compete in the mid-range segment and get a dominating spot. 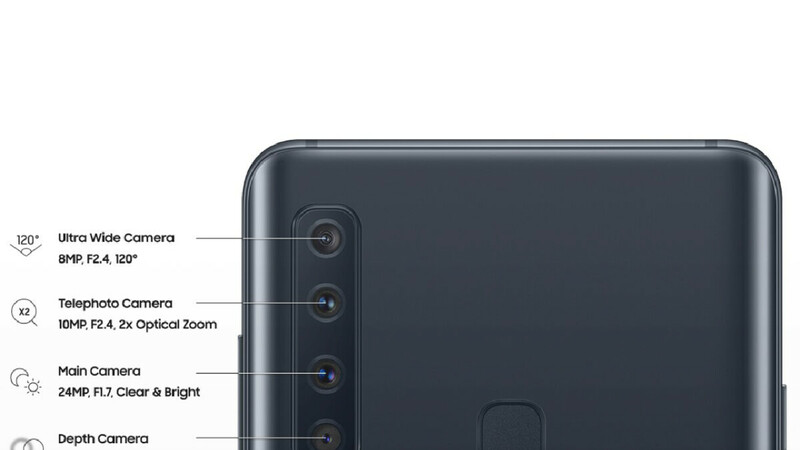 Recently we saw the Samsung Galaxy A7's 2018 edition which had triple camera lenses in the rear side. Now they are going one step ahead and bringing the 4th one to give better camera experience. The upcoming mid-range from Samsung, the Galaxy A9s, is going to be the first quadruple camera phone. Rumors are are suggesting that this phone can be launched by Samsung in very near future and it will also have better specs than the Galaxy A7. The Samsung Galaxy A9s, also known as the A9s, is expected to have a 6.28 inches super AMOLED display with a 1080x2220 resolution having 393 pixel density and 18.5:9 aspect ratio. So if you are tired of hearing about the notched phones, here's some relief for you. Because Samsung is one of those only brands which still haven't gone with the notch in any of their phones. We can see the Qualcomm's mid-range king, the octa-core based 14 nm FinFETT technology processor, the Snapdragon 660 in the Galaxy A9s. If it becomes true, Samsung will definitely be the best choice for them who prefer speed and performance with also other specs. The processor comes with Adreno 512 GPU that is made for good gaming performance. Samsung always put their TouchWiz UI on every phone and this will not be an exception. Galaxy A9 will run on Android 8.1 Oreo out of the box. The main USP of the phone is the cameras where Samsung is going to introduce their first quad camera setup on the rear side. The main camera will have a 24 MP lens with a f/1.7 aperture to provide clear and bright images. The others will be 8, 10 and a 5 MP sensors with apertures f/2.4, f/2.4 and f/2.2 and will be working as an ultra-wide-angle camera, telephoto lens for 2x optical zoom and the depth sensor respectively. So the camera lovers, here's the gift for you from Samsung. It will also feature a 16 MP front shooter to give sharp selfies. Samsung this time is expected to come with 3750 maH battery and with only one variant that is the 6GB ram and 128 GB internal storage option. The black color is spotted of the phone and will be seeing other colors in the launch day which is expected to be today. It will have the Bluetooth 5.0 support and quick charge 2.0 for a better experience of smartphone battery charging. All other specs will be revealed in the launch event so let's wait for it.